Bananas consist mainly of sugars (glucose, fructose and sucrose) and fiber, which makes them ideal for an immediate and slightly prolonged source of energy. Banana is an effective fruit for health benefits. The mixture of carbohydrates and vitamins present in banana helps an energy increase. The natural fiber in banana also gives to the many health benefits. These yellow-skinned fruits are ideal for health because they have a sweet taste that most people enjoy. Banana, the once-exotic fruit, has found its way into our daily lives. In another article of ours, we have tutorial on how to reduce pot belly with food and exercises, and you will be surprized that banana is one of the ten food items that is included in those fat cutters. Banana is a fruit which is still very casually consumed for its taste, texture and a feeling of fullness unlike other fruits which are eaten due to their much known health benefits. With whatever feeling it might be consumed, banana is nutritious and a wholesome fruit. This is a much lesser recognized fact. Except for its limitations for weight loss and diabetes, like other fruits this one too deserves high regards. In fact, bananas have several positive benefits that many other fruits do not have. Here are some important benefits of banana. A fully ripe banana produces a substance known as TNF that has anti-cancer properties. In an animal experiment carried out in Tokyo, which compared the various health benefits of different fruits, including bananas, grapes, apples, water melons, pineapples, pears and persimmons, it was found that bananas gave the best results. Burnt banana leaves mixed with honey can reduce your hiccups instantly. Vitamin B present in a banana helps calm you down if you suffer from nervousness. In Thailand pregnant women eat bananas to ensure their baby is born with a cool temperature. Snacking on bananas between meals helps to keep blood sugar levels up and avoids morning sickness. The high levels of vitamin B6 present in bananas helps to regulate blood glucose levels that affect the moods and pains of women suffering PMS. One banana flower, cooked and combined with a cup of curd can help slow your menstrual blood flow. Bananas are part of the BRAT (Banana, Rice, Applesauce & Toast – diet order for stomach illness), a diet many physicians and nurses recommend for children recovering from gastrointestinal problems, particularly diarrhea. Bananas are good for babies, too. Bananas are easy to digest because they have no fat and very few babies are allergic to bananas. Bananas can also help people trying to give up smoking. Bananas are full of Vitamins B6 & B12 as well as potassium & magnesium. These substances help the body recover from the effects of nicotine withdrawal. Many people report that rubbing the inside of a banana peel on a mosquito bite is very effective in reducing, itching and swelling. If you have a rash from poison ivy, poison oak or sumac, you can rub the peel over the rash until its gone. Potassium in bananas also is good for cramping, allowing the body’s muscle to more freely contract and expand. This is especially important for the athletic. A normal intake of potassium suppresses calcium excretion in the urine and minimizes the risk of kidney stones. The potassium in bananas helps to combat sodium, which is a big no-no for high blood pressure. Since bananas are relatively high in iron, helps stimulate the growth of hemoglobin in the body, which can help with anemia. Potassium present in banana also help against heart disease. 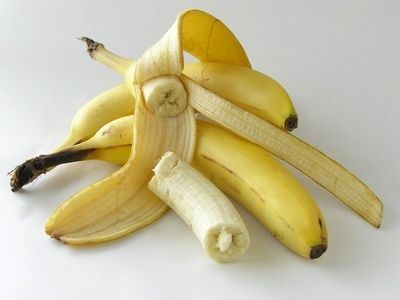 Bananas have a natural antacid effect, so if you are suffering from heartburn, try eating a banana for soothing relief. A study published in the Archives of Internal Medicine confirms that eating high fiber foods, such as bananas, helps prevent heart disease. Bananas help normalize the heartbeat and regulate the water balance of the body. Bananas contain tryptophan, a type of protein that the body converts into serotonin, known to make you relax, improve your mood and generally make you feel happier. Lute-in found in Banana peel or skin is helpful ease depression. Serotonin present in banana has a calming effect on the brain and acts as a mild sedative. Bananas supply potassium to the brain, that helps to keep oxygen levels normalized and also promoting strong signals between cells. Research proved that potassium in bananas helped to increase their mental alertness and boost brain power. Potassium and Vitamin B6 found in bananas are good for calm your hangover. The potassium found in bananas may also help promote bone health. Pro-biotic bacteria present in banana help in absorbing calcium and increase the digestive ability. Bananas are an exceptionally rich source of fructooligosaccharide, a compound that nourishes pro-biotic (friendly bacteria) in the colon. Banana minimizes the loss of calcium from the body and thereby reduces the risk of osteoporosis. Taiwanese researchers found that a banana’s peel is rich in lutein and an additional nutrient, serotonin, which may help in regenerating damaged retinal cells. Fiber present in banana help restore a normal bowel function. Pectin, a soluble fiber (also known as Hydro-colloid) present in bananas can help normalize movement through the digestive tract & ease constipation. A study on animals, researchers found that fresh bananas protected the animals’ stomachs from wounds. Regularly use of banana stem in cooking is also beneficial in piles. Bananas have long been recognized for their antacid effects that protect against stomach ulcers and ulcer damage. Banana contains protease inhibitors that help eliminate bacteria in the stomach that have been pinpointed as a primary cause of ulcers. Bananas stimulate the cells on the internal stomach lining to produce a thicker mucus that protects against acid. Mashed banana with a little honey is useful cure cracks or dry skin on your elbows, knees or feet. Banana peels can be used to cover up a wart and provide relief from skin irritation. The inside of the banana peel has been used to treat psoriasis for many years. Banana pulp can provide pain relief from minor burns and other wounds. Mixtures of mashed banana with an egg, little milk and some water give more shine and moisture to dry hair. With the regular use of bananas with honey can increase the moisture content of your hair, smooth frizz, and soothe your itchy scalp and dandruff immensely. Bananas with yogurt are useful for hair loss as well as improve the condition and texture of your hair. If you are suffering from dry eyes. Eating a banana every day can be very useful for you. Three or more servings of banana per day may lower the risk of age-related macular degeneration (ARMD), the primary cause of vision loss in older adults. Bananas are highly rich in Vitamins & Minerals, which help keep us fit and healthy. Sugars such as sucrose, fructose and glucose found in bananas give an instant, sustained and substantial boost of energy. During a long period of exercises our body loses lots of vitamins and minerals, and a banana is best to replace these nutrients as well as it gives us the energy we need. Two bananas provide enough energy for a strenuous 90-minute workout, therefore, popular with the world’s leading athletes. Bananas are also great for an energy boost if eaten about an hour before going gym or before any other physical activities. Since bananas have the ability to provide instant energy, sportsmen eat bananas during breaks of games.